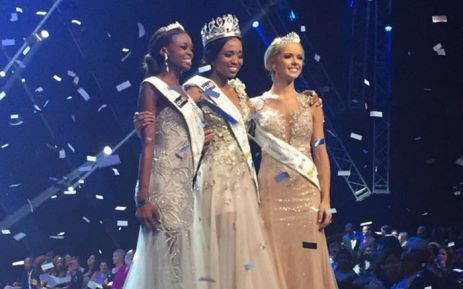 Ntandoyenkosi Kunene is the winner of Miss South Africa 2016 contest who was crowned by Miss South Africa 2015 Liesl Laurie at the Carnival City, Johannesburg. Elizabeth Molapo ‪was declared as 1st Princess and Tayla Skye Robinson was adjudged as 2nd Princess. Ntandoyenkosi won the crown over 11 contestants. 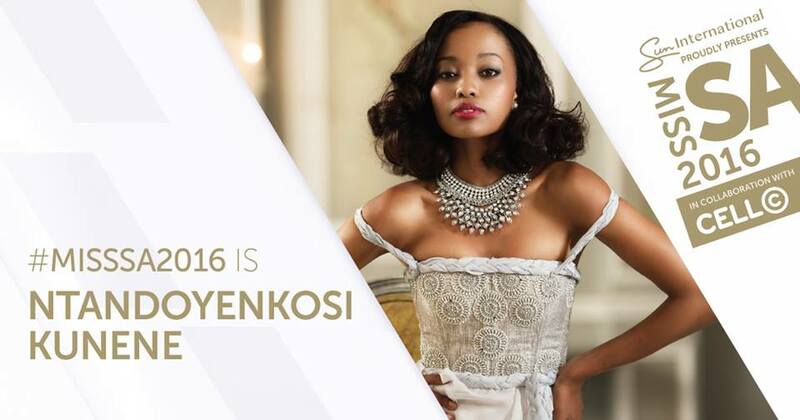 Miss Kunene will represent South Africa at the Miss World and Miss Universe 2016 contest. As a winner, besides the beautiful crown as her prize, she won prizes worth R2-million, including a car and a skiing holiday. Miss South Africa Top 5: Tayla Robinson, Sharon-Rose Khumalo, Ntandoyenkosi Kunene, Sarah Botes, Elizabeth Molapo. Miss South Africa Top 8: Schane Venter, Tayla Robinson, Sharon-Rose Khumalo, Reabetswe Sechoaro, Ntandoyenkosi Kunene, Sarah Botes, Elizabeth Molapo and Luyolo Mngonama. The event opened with the 12 finalists walking on stage wearing outfits from Heidi du Toit which were selected from the designer’s archives to fit in with the burlesque theme, the swimsuit round had the the finalists parading in bikini from Seafolly South Africa. Monique Bingham performed Deep in the Bottom (of Africa). And Sketchy Bongo and Shekhinah were also the performers who entertained the audience through their musical gigs.